A "medical emergency" has forced singer Morrissey to reschedule two Canadian tour dates, with a number of further shows also in jeopardy. The former Smiths frontman was due to play in Vancouver tonight (April 14) and Monday in what would have been the first gigs in Canada for 15 years. The shows have now been rescheduled for October 14 and 15 of this year. 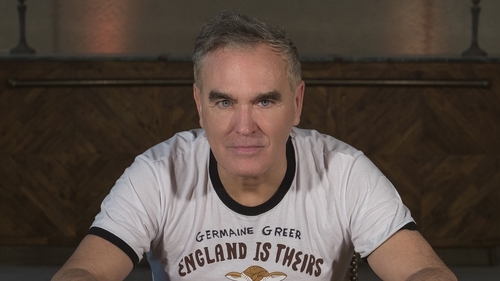 In a statement on Saturday night, Ticketmaster said: "Due to a medical emergency stemming from an accident incurred while traveling in Europe, Morrissey will be forced to postpone his performances in Vancouver to October 14th and 15th, 2019. In advance of the dates, outspoken animal rights activist Morrissey wrote to Canada clothing brand Canada Goose to demand they remove fur and feather from its products. He added that he would rally fans to support his fight. Morrissey has previously refused to play in Canada due to its seal hunt. Writing on the website Morrissey Central last September, he said: "My decision to return to Canada after almost 15 years of protest against its savage and Neanderthal annual Baby Seal Kill is entirely because my stance was ultimately of no use and helped no one. As part of Record Store Day on Saturday, Morrissey released a new 7″ record single, with an A-side featuring Lover-To-Be, a bonus track taken from the recent deluxe edition of his latest solo album Low In High School. Morrissey recently said he would play a one-week residency on Broadway. His current tour is in support of his latest album California Son, a covers record that features Billie Joe Armstrong, Grizzly Bear’s Ed Droste and more.